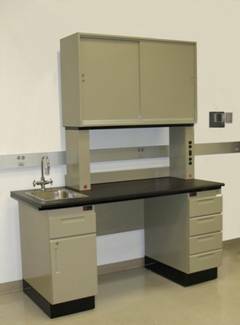 For over twenty five years, Sturdilite™ has been the premier, steel laboratory bench alternative to fixed casework and built-in millwork. With its highly modular design, Sturdilite™ is a key productivity tool for labs and tech workspace. It functions efficiently as a single workbench or as an integrated lab workstation system. 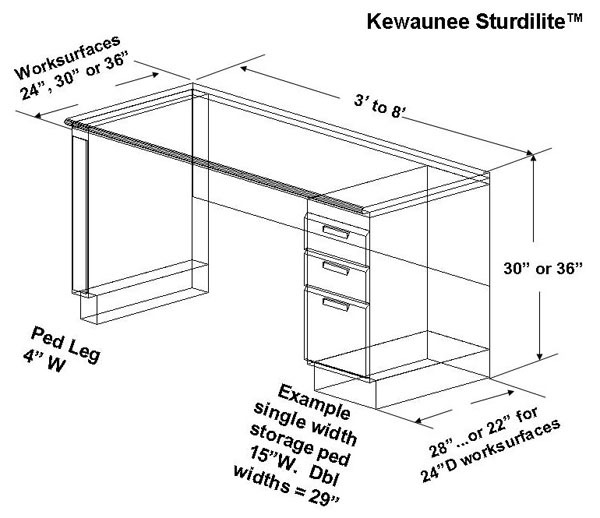 Sturdilite™ frees lab planners, users and their budgets from the costs and constraints of built-in cabinetry. 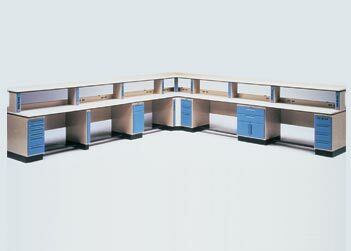 Its highly modular design easily re-configures, adapting efficiently to changing work patterns. Fully modular, pedestal-based design. Configure as needed. Widely used in “wet” or “dry” lab environments: bio-pharma, electronics, science labs also engineering, manufacturing, test/assembly, ESD, industrial, education, etc. Span 3′- 8′ between supports, or fill in with storage modules. Highly aesthetic. Precisely engineered and built. Robust: Tube steel support frame connects pedestals and supports worksurfaces. High density laminate worksurface, or specify epoxy resin, ESD laminate, Trespa TopLab™, stainless steel, chemical resistant laminate, or maple butcher block. Full catalog of accessories…..shelving, power, & data modules, under shelf lighting, sink modules, mobile storage pedestals, keyboard trays, foot-rests, peg-boards, etc. Special dimensions and designs available to meet unique requirements.